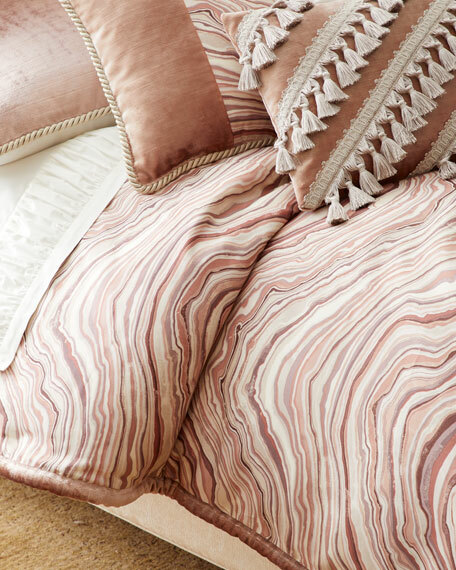 Made of striped polyester with polyester/cotton backing. 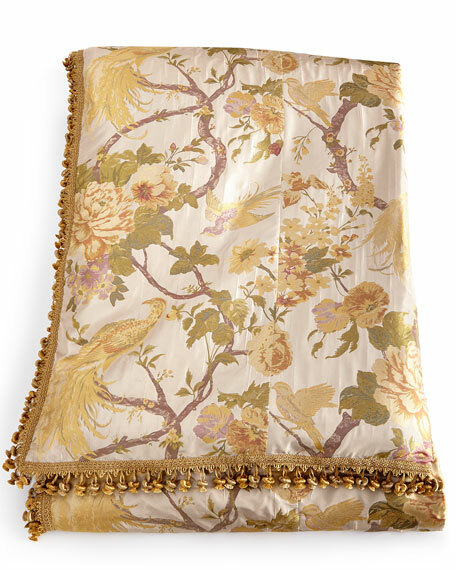 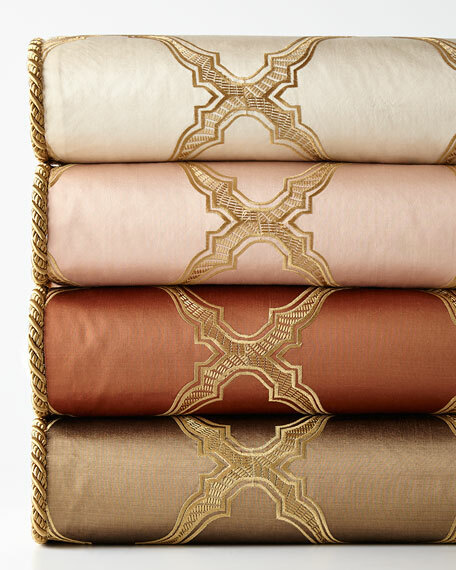 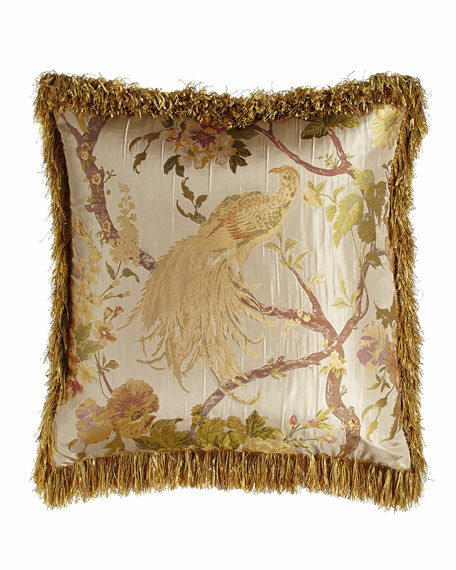 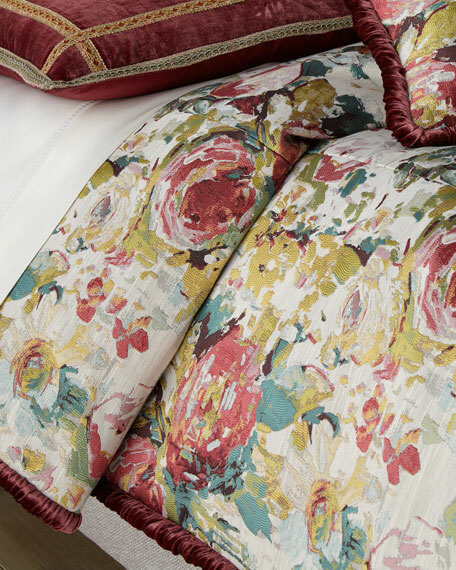 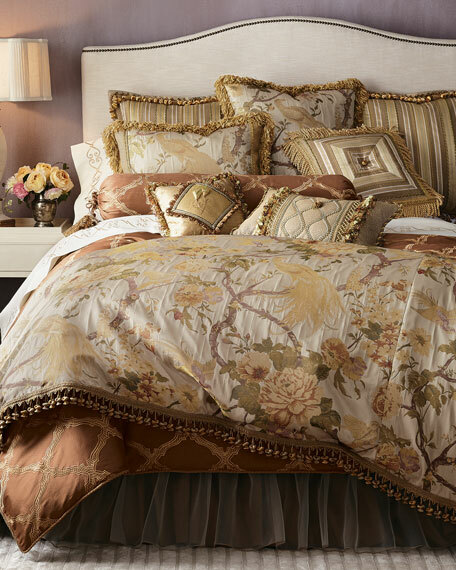 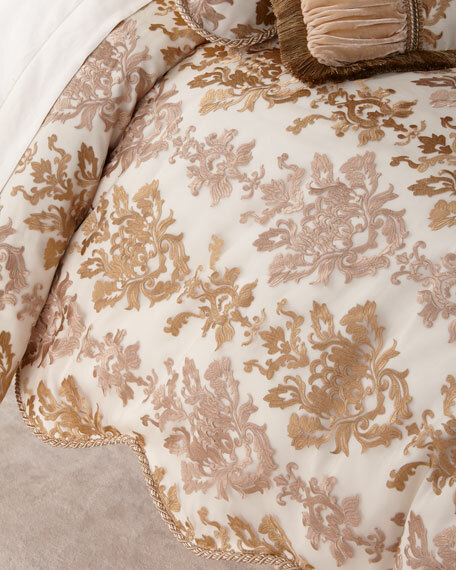 Features a shimmering pheasant-and-floral weave with raised texture. 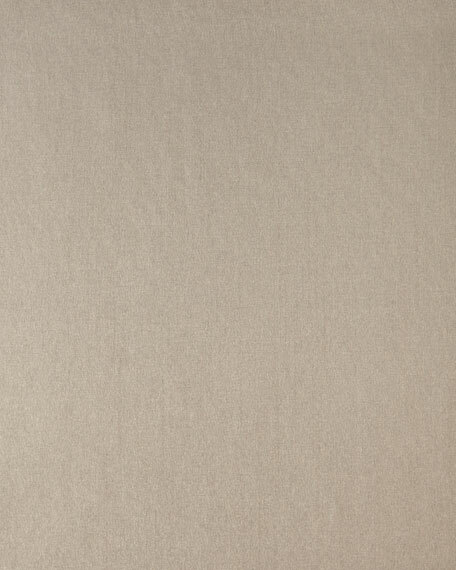 Made of polyester with polyester/cotton backing. 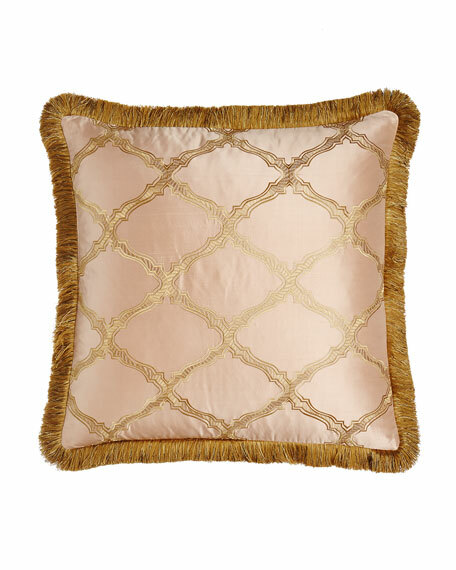 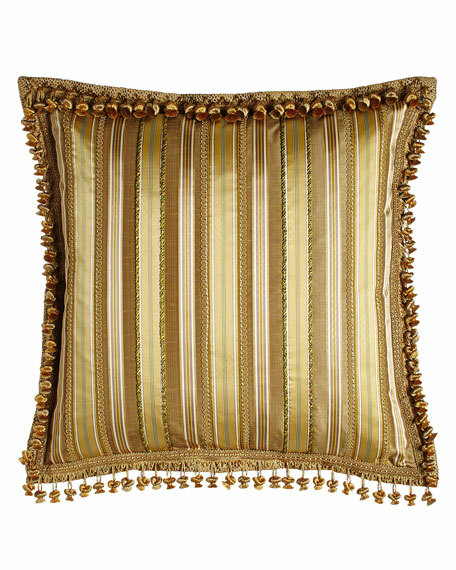 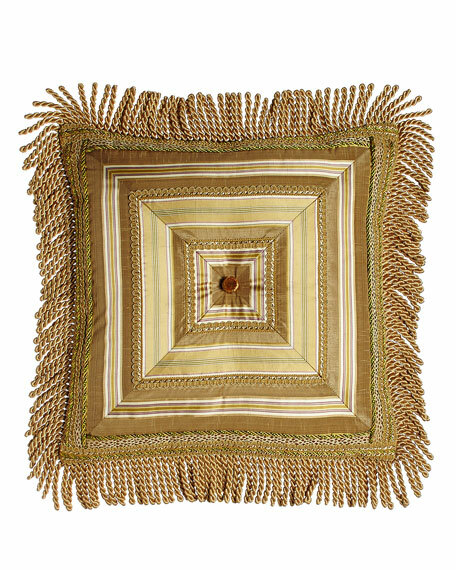 Sweet Dreams Mitered-Stripe Pillow with Gimp Accents & Bullion Fringe, 18"Sq. 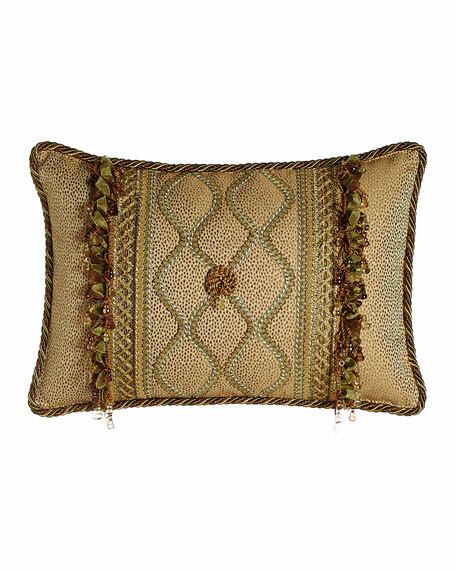 Sweet Dreams Oblong Rosette Pillow with Gimp Accents & Ribbon & Bead Fringe, 14" x 22"
Sweet Dreams Diamond-Center Pillow with Dimensional Flowers & Ribbon & Bead Fringe, 14"Sq. 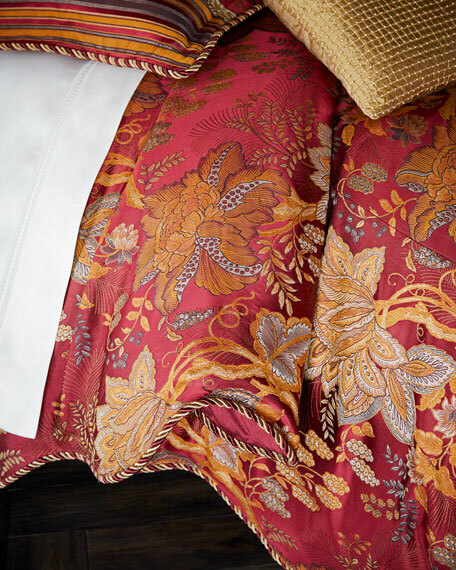 Front is silk and polyester. 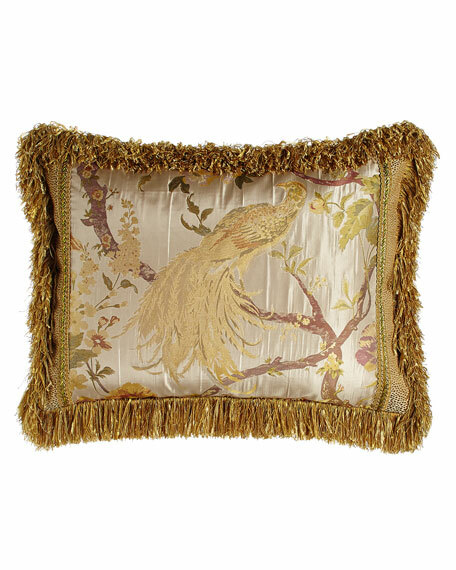 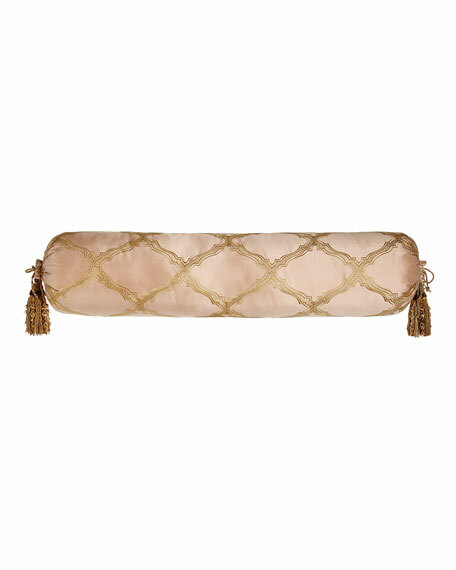 Sweet Dreams Extra-Long Versailles Bolster Pillow with Tassels, 9" x 36"
Three-panel polyester dust skirt with 18" drop adjusts to fit queen- or king-size beds.